Along with lots of happiness, parenthood brings a greater level of responsibilities. Every parent wants to give the best to their children. Whether it is about choosing the best play area for their kid’s or enrolling them in the best play school. They look for every possible way to ensure that their kid is receiving the best care and education. A rich and varied environment supports children’s learning and development phase. It gives them the confidence to explore and learn in a secure and safe, yet challenging, indoor and outdoor space. Children’s learning experiences always comes from the interaction and engagement with their environment and the people around them. They need warm and trusting relationships along with predictable, safe, stimulating and nurturing environment. The play center’s environment, their set up and use of space, choice of equipment, materials, and resources all contribute to children’s learning outcomes and engagement with their mental upliftment. Thus, it is much important for a play center to accumulate a unique environment that includes the building, the fixed play structures, the imitation of a natural environment, the play accessories, the kid’s friendly pieces of furniture and the fixtures. As more and more infants and toddlers are spending time each day in some type of child care setting, it has become important to consider how this environment and everything in it can best support their learning and development phase. A variety of factors determine the quality of a good kid’s club. 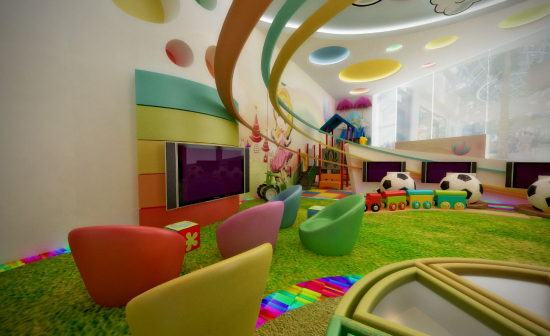 Always make sure that the kid’s club that you have opted for is child-friendly and is preferably on ground floors. It must have a professional setting and should not look like a home-based center. The swings and other play equipment’s present in the institution should be safe and in a good condition. Also, the area inside should be spacious and uncluttered. 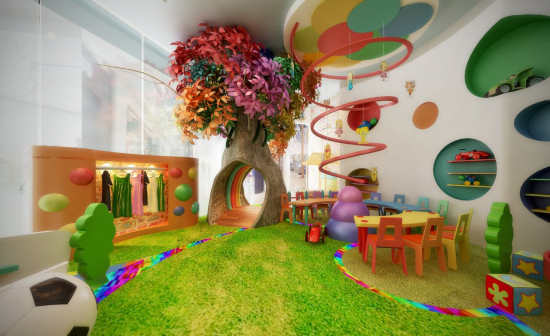 The space inside should feel nurturing and familiar at the same time, and it should invite children to explore and investigate by capturing their attention and provoking their interactions with the colorful space. Kid’s edutainment centers are places where kid’s play can take off and flourish. Good kid’s center is designed in such a way that children’s play can come to full expression, where they can make a mess, run, jump and hide, where they can shout, whistle and explore the play world. Creative materials provide children with the opportunity to express their knowledge, ideas, theories, and feelings about the world. Thus, it is important for a play center to be activity oriented that are filled with fun, knowledge, and skills that a child needs. Hygiene practices followed by staff and children play an important role in maintaining the hygiene standards. Always look for the salutariness of the kid’s center. In fact, it should be the top priority of the center’s staffs to maintain a hygienic environment for the kid’s. The play equipment provided to children should also be hygienic. Like, the use of natural play colors and textures of materials such as stones, seedpods, pinecones, tree blocks, and wool that make a nice change from the bright colors and flashing lights of many modern day toys, should be clean. When you're visiting a potential site, pay attention to how the staff interacts with the children. Ideally, a caregiver should be on the floor playing with the kids or holding one on her lap. In their early years, babies need close, loving, and interactive relationships with adults in order to thrive. That's why it's especially important that baby’s first caregivers be warm and responsive, and that even in group care, infants and older babies get a healthy dose of one-on-one time. Parenting is not always easy. Sometimes multitasking can take a toll on you. Taking care of your kid and being able to run your errands simultaneously can be exhausting. Then why not go for a fully equipped kid’s play center in the vicinity of a multi-complex where your child can play safely while you do your shopping or have a visit to a salon. Having access to such center, you can comfortably complete your work being assured that your child is safely playing in the play center which is conveniently reachable for you. Compromising on any of these parameters must be avoided to provide a strong base and a better future for your child. However, it might become a challenge to find an institution that adheres to all of these. In the case where you are unable to find such a facility, you can prioritize all these features. But for you to get hold of all these features in the same place, visit LaLa Land, a one-stop destination for all kid’s indoor and outdoor parties and activities. 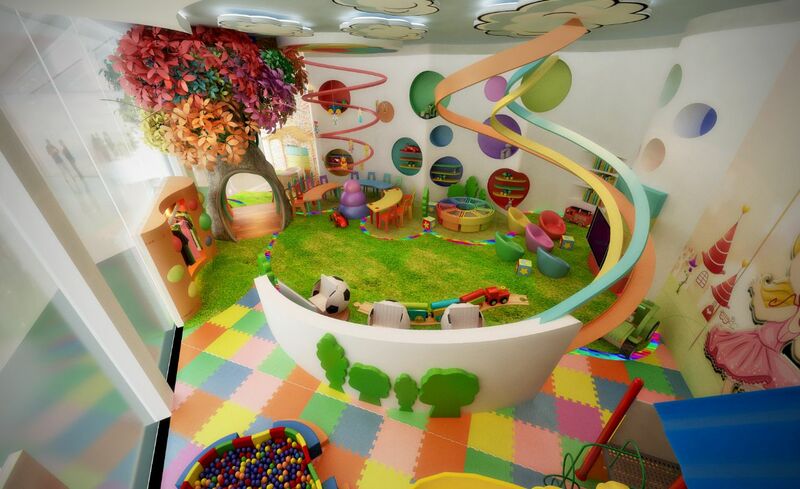 This new kid’s edutainment center has its grand opening on 29th December in Uptown Mirdif. This center has the vision to provide enriching and full of impact learning experiences and deliver a preschool service of the highest standards in the UAE to every child. 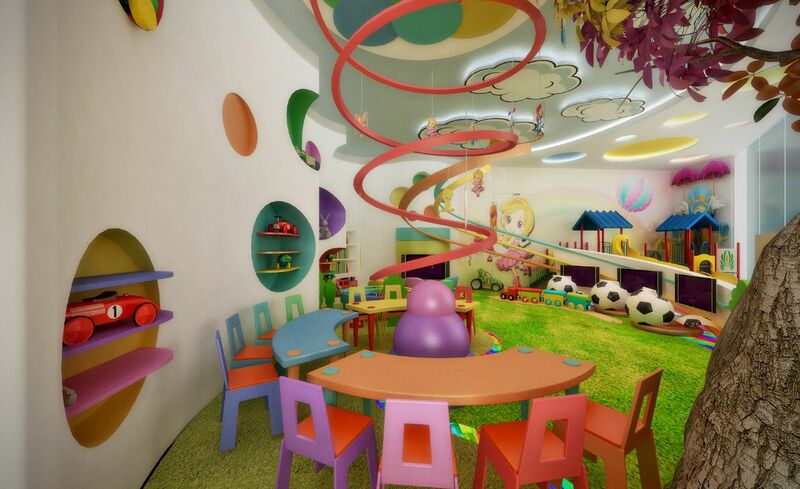 This kid’s amusement center is a spot where kids can come to make friends and create a fun project using simple materials, play a variety of games and activities and be entertained throughout the day. This center facilitates a healthy and safe environment for children to grow and flourish and establishes a preschool curriculum that is reflective of the multicultural environment. LaLa Land provides a soft play area for kids along with art and craft setting, Xbox play area, and a proper painting area. It also facilitates birthday parties, after-school activities, weekly Thursday parties, and camps for all seasons. This center is fully supervised by experienced professionals. The playing areas within La La Land Kids Club were carefully chosen to deal the age criteria above 18 months to fill the activities with more than fun but also the knowledge & skills that a child needs. Thus, with safety being the prime concern and the most primitive one, you can opt for this edutainment center for your kid’s. So, visit LaLa Land with your kid’s for a memorable experience. For more information, visit https://lalaland.ae/, and get an advanced membership. Till then, Ciao! !